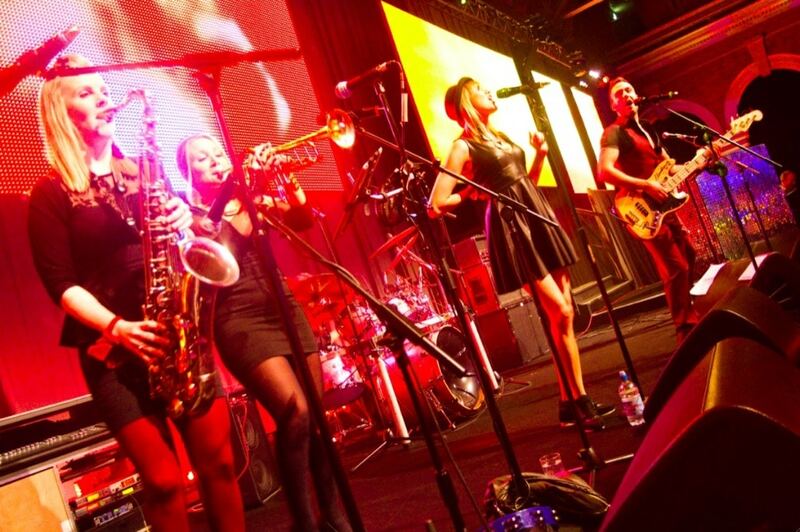 The Power | Wedding Band | Corporate Function Band | Party Band | Berkshire | !daft! 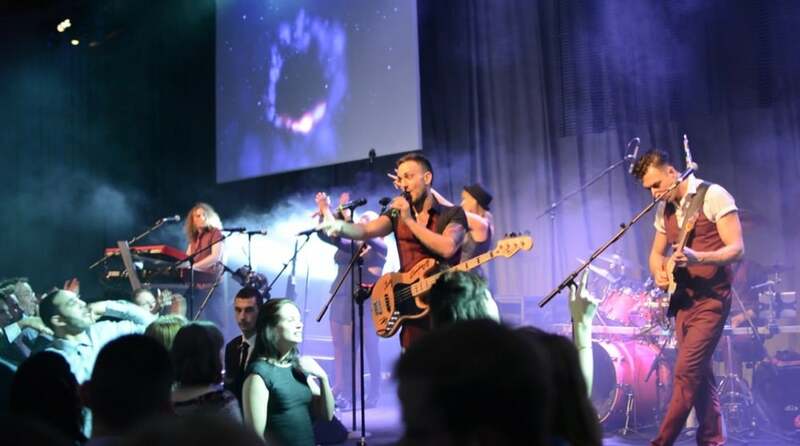 The Power are no ordinary function band – they are an entertainment extravaganza! 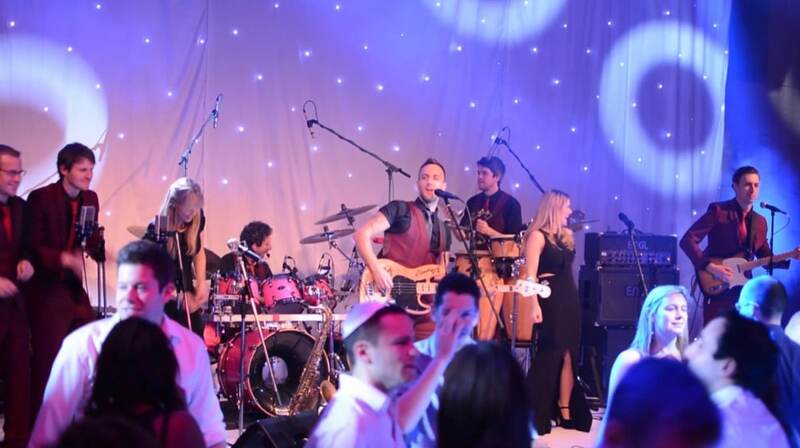 Regularly booked across the globe for British royalty, celebrity events, Jewish weddings, high-end corporate events, and people who just want to throw a great party, The Power can offer a range of line-ups, from a stylish 3-piece rock band to a jaw-dropping 13-piece showband! Bandaoke available – sing with the band! The Power are one of the most sought-after, and hard-working, acts on the music scene. They regularly perform across the UK, Europe and worldwide supporting top recording artists, or entertaining clients at both private and corporate events. They have a huge list of high profile corporate clients, which includes O2, Abbey National, BBC, BP, BT, Goldman Sachs, Hilton, HSBC, Lego, Lotus Cars, Marks and Spencers, Royal Bank of Scotland, Sainsburys, Sky, Shell, Vodafone, World Scout Association and several Premier League Football Clubs, to name just a few, as well as hundreds of extremely happy wedding couples! The Power offers an amazing selection of first-class line-up options, from a 3-piece party band to a 13-piece showband, and features five uber-talented lead vocalists to choose from, as well as some of the UK’s top session musicians. With their state-of-the-art sound and lighting equipment, and unbeatable stage presence, The Power bring a full concert experience to every event. With nearly 20 years experience, The Power have a CV that is hard to rival. Seasoned professionals, they are as comfortable performing for small audiences of 50 people as they are for crowds of 100,000 people, and do so with the same energy, style and charisma. 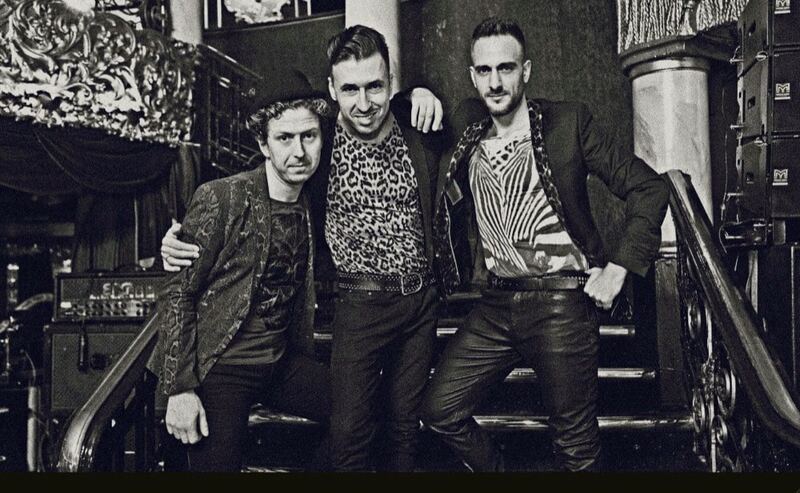 They have played on some of the most prestigious stages including the UK’s very own Wembley Arena, The Royal Albert Hall, Earls Court London, and V Festival Mainstage, as well as at some of the world’s top venues – The Tower of London, The Natural History Museum, Birmingham N.E.C, 100 Club London, Dorchester London, Hilton Park Lane, Cafe de Paris London, Domfront Chateau France, Four Seasons Cyprus, Grand Hiatt Dubai, Jumeriah Beach Hotel Dubai, and The Ritz Madrid, to name just a few. The Power features some of the UK’s best session musicians, who have played with big-name artists like Robbie Williams, Nicole Sherzinger, Cee Lo Green, Jools Holland and Westlife. And they have recently performed in front of HRH The Duke of Cambridge & 50,000 Scouts from over 120 different countries at the 21st World Scout Jamboree. And can you believe that you can book The Power for your event too, giving you a night that you will never forget and that your guests will be talking about for years to come! Covering every music genre imaginable! 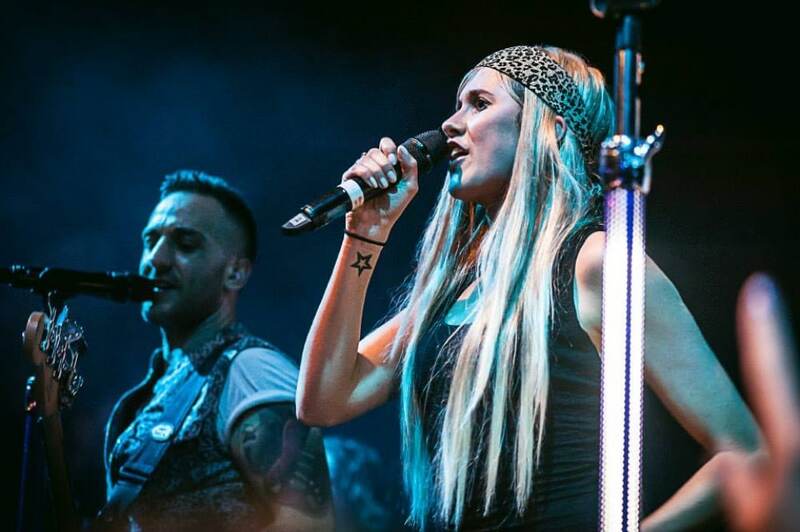 With their repertoire of more than 500 songs, covering every music genre imaginable, from 50s rock ‘n’ roll and 70s disco, to the latest chart hits, The Power are the most diverse and versatile band you will come across. 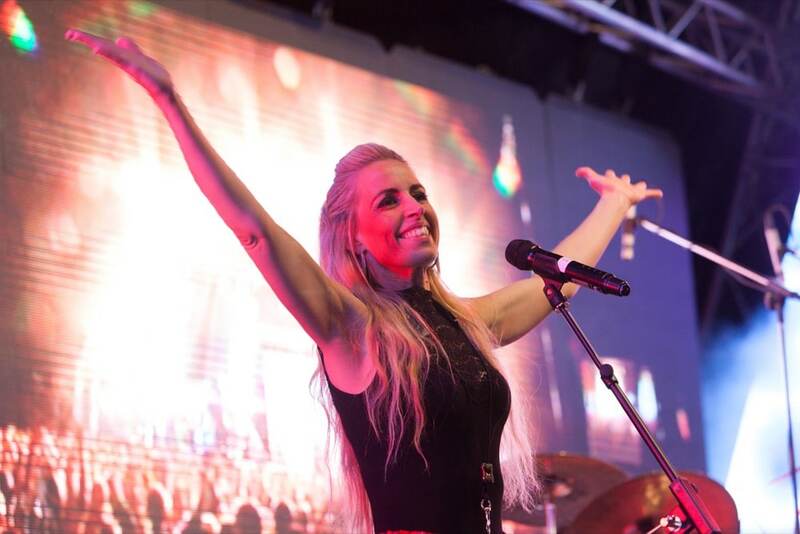 Featuring artists from Elvis Presley, The Beatles, Tom Jones, Stevie Wonder, Michael Jackson and ABBA to Nirvana, Take That, Robbie Williams, Amy Winehouse, Bruno Mars and Michael Buble, The Power’s setlist also includes dance-inducing traditional Israeli music, to whip the crowds into a frenzy at Jewish weddings and mitzvahs. And if that wasn’t enough, if your event requires some old school glamour, The Power have an impressive selection of timeless jazz & swing classics up their sleeve – perfect for a champagne reception, black-tie dinner or gala evening. This 3 – 13 piece jazz & swing band can be augmented to include anything from double bass, soprano, alto and tenor sax, flute or vocals, providing ensembles of various sizes and combinations. 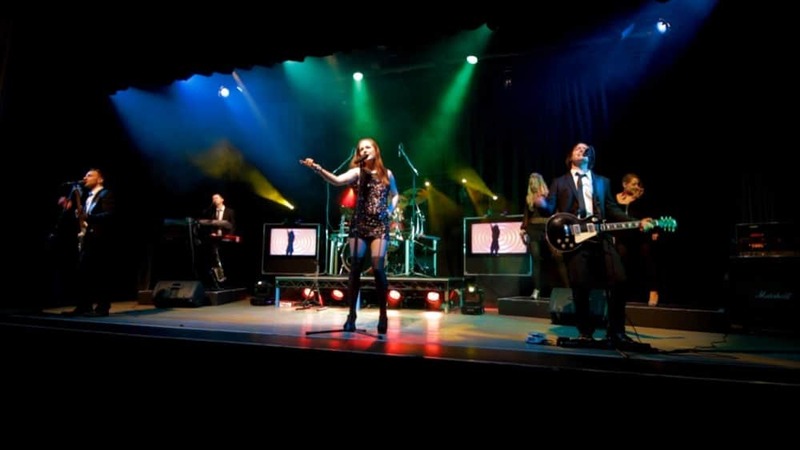 The Power is available with different size line-ups to suit you, your function and your budget – from a superbly entertaining 3-piece party band, right up to a stunningly impressive 13-piece showband, with the option of male or female vocals, a brass section, percussion and backing dancers. 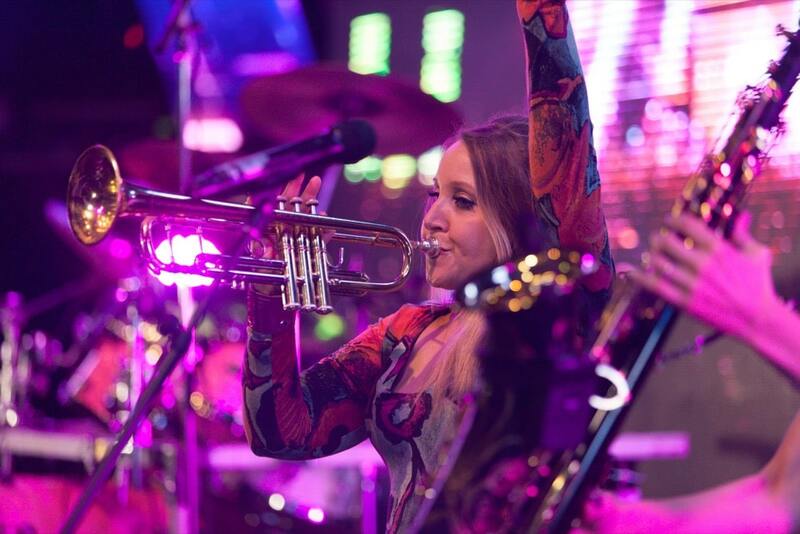 Here at Class Live Bands & Entertainers, we will help you choose the best line-up for your event, building you a bespoke entertainment package. Whichever line-up you choose, we can guarantee that The Power will provide you with an awe-inspiring stage show that will delight your guests, and keep your dance-floor packed the whole night long! If you are looking for some unique entertainment for your event, why not try Bandeoke? This live band karaoke gives you the unique opportunity to sing with one of the UK’s most popular party bands live on stage. Simply choose a song from The Power’s extensive repertoire and they will have all the words, microphones and air guitars ready for you to give the performance of your life! The Power turned our event into a full blown concert, well done lads. Please can you pass this onto each of the band members who performed at my sister Ruth’s wedding last night. It was a truly beautiful day and everything just ‘worked’. The band was exceptional on all counts, in their friendliness, their conduct (the owners of the house wanted to pass on their thanks too as they were so polite in the background area when getting dressed etc). I’ve been to a ‘lot’ of weddings, over 50 in the past 6 years. This party band is right up there, if not topping the lot from sheer entertainment and getting everyone (including the oldies) onto the dance floor. How my 5 year old nephew lasted until 11.30pm dancing I will never know! Many thanks again for giving Ruth and Dave such a good start to their married life. A huge ‘Thank You’ for your wonderful performances on Saturday at my husband’s 70th birthday party. EVERYBODY has said to us how fabulous you all were, and what a terrific atmosphere of sheer exuberance and happiness you added to the whole evening and, as you could see, we all just didn’t want you to stop. We and our geriatric friends danced and danced and no doubt everyone was staggering about the next day with sore joints and aching backs. . . A very small price to pay for such enjoyment. You were all great! Such lovely and helpful people, with real talent, and I really can’t thank you enough. I just wanted to drop you a note to say thanks, and feedback how wonderful the boys-girls performed at our Big Day! The balance of music was just perfect for all to get up and shake a leg (even my 90 year old grandfather! ), and the first dance made even the hardest hearts shed a tear. The Power are a fantastic, friendly group of guys that very much played to the crowd and got everyone dancing straight from the word go. Their catalogue of music is expansive and they give you the option to choose up to 20 of your favourite songs from this list that you definitely want to be played, so it’s great to have those songs to look forward to. Many guests said they were the best wedding band they had heard and since the wedding we have had a lot of requests to pass on their details. Book. Them. Now. 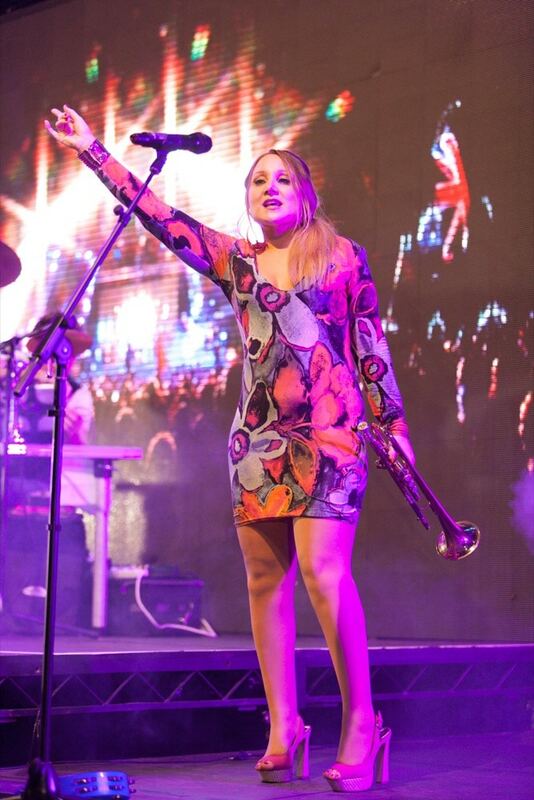 I cannot emphasise how much we enjoyed the band, The Power, they gave an excellent performance and went down a storm. I thanked one of the performers on the night but wanted to make sure that the band received recognition of our appreciation and that of our guests. I remember that at one point we took over the singing of one of the songs at which point the lead singer just let us get on with it, very amusing. I know that they undoubtedly perform at many weddings through out the year and cannot recall when and for whom they perform for, but they certainly will be and are remembered by ourselves and our guests. As we meet up with our friends and family since the wedding they still comment on how great the wedding band were. 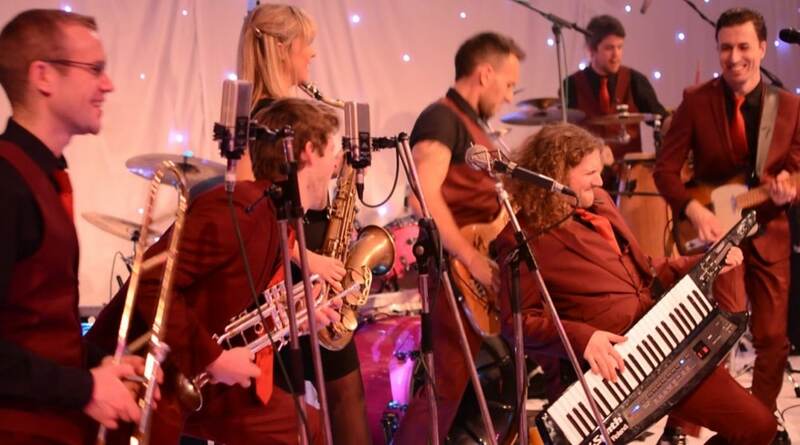 I would not hesitate in recommending the party band for any occasion. The band were on time, smart, polite, and, of course, all excellent musicians which made our wedding reception such a brilliant live party band. We hired The Power 4 piece Wedding Band for our wedding in East Sussex in August. They were absolutely great and made our wedding extra special. Their choice of songs was pitched perfectly to get everyone dancing regardless of age and the dance floor was packed all night. They were completely professional in all respects from handling drunken requests for songs from guests and even when we ended up running horrifically late the band were completely understanding and did everything they could to make things work out. I can recommend The Power without hesitation as the perfect hassle-free Wedding Band. Chloe and I just wanted to say thank you very much to you and to the band for doing such an excellent job at our wedding last month. The music played and the style of the set was exactly how we wanted it to be. We thought the quality of the music was really excellent – many of our friends remarked on what a pleasure it was actually to be able to hear the words as well as the music. The guys got it 100% right. And thank you in particular for arriving well in advance as you did. The transition from band to DJ was seamless and I know that would not have been the case had you not bothered to arrive early and set up with the DJ ahead of time. We really, really appreciate what you and the band did for us. Both Alexis and I would like to say a huge thank you for the superb job you did at our wedding. You were a pleasure to work with and your performance on the night was absolutely brilliant! Thank you so much for taking the time to learn the words for the Israeli dancing for us also – we really appreciated that! Your ability to read the crowd was great, you got everybody singing and the wide range of music you play meant there was something for everyone. My particular favourite was the unbelievable Billie Jean/Smells Like Teen-Spirit combo you played towards the end! Overall we had an amazing time and our wedding would not have been the same without The Power party band. Thank you so much! We just wanted to say an enormous thank you to The Power – we had an absolutely amazing evening which was due in a large part to the fantastic music they played for us. Numerous people said to us during the night and the following day that it was the best party they had been to in years and people are still sending me messages a week later saying that they loved the music and the dancing. Several people who haven’t been on a dance floor for many years couldn’t stop themselves this time, which was brilliant! The band were really accommodating right from the start, which was difficult for them when they had to deal with an over-enthusiastic noise limiter in the hall but they took it in their stride and gave the most fantastic performance. I really hope we’ll have an opportunity to hear them play again in the future and we will definitely be recommending them to friends. Many thanks again for a brilliant evening. Thank you so much for playing at our wedding reception at the Fennes last night. You were amazing. So many people said how good you were and loved the range of music you played. Smells like Billie Jean being a highlight. Thank you for being the perfect end to our perfect day! We would like to thank The Power for Saturday night at our wedding. They were absolutely amazing and everybody thought they was brilliant. I am so pleased I booked them after seeing them play my friend’s wedding a couple of years back. I cannot speak highly enough of them and they more than contributed to what was a perfect day. We will be recommending them whenever we can. We have just returned home to Guernsey after the wedding of our daughter Vicki to Mike. We just wanted to say what an amazing wedding band set you put together. Everyone without exception said you were the best wedding band they had heard for many years, so a big “thank you” to all 4 of the band. We will certainly be recommending you to friends and family for future events. You probably get this from every couple so I hope we can do it justice. Thank you so so much for everything. The party band did such an amazing job. We had just the most special day. We’ve still not come back down to earth. We could not have been happier with all the music, the sound, the way the band entertained, that they all looked like they were really enjoying it. Everyone said the band was amazing. If you need us to, we will be more than happy to offer reviews to other couples. Thank you again. Please pass on our huge thanks for the party band for Charlotte and Charlie’s wedding last Saturday. They were totally amazing, we could not have wished for more. They were brilliant coming and setting up earlier in the day, that made so much difference.The music was totally perfect for all the different age groups and the dance floor was alive all evening. The party really was magical, they created so much atmosphere and really got everyone dancing together. They were all utterly brilliant, many many thanks to all.